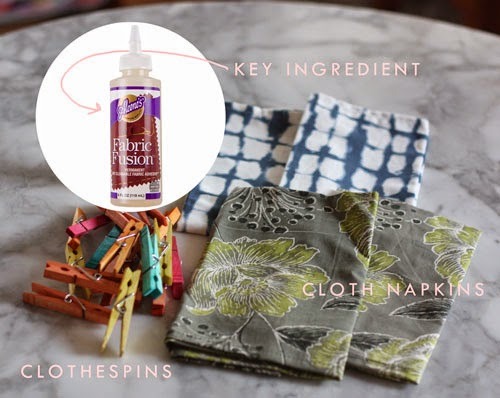 You have to admire folks who can whip out a simple sewing project in a matter of minutes, but for those of us who aren't so light with their the stitches, sometimes you need a little help. Quick Dry Fabric Fusion makes up the difference! 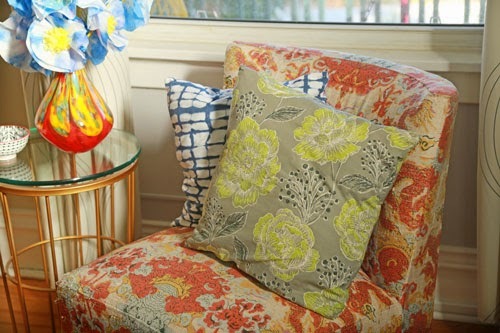 Pair it with ready-made cloth napkins from your favorite store and you are ready to go. 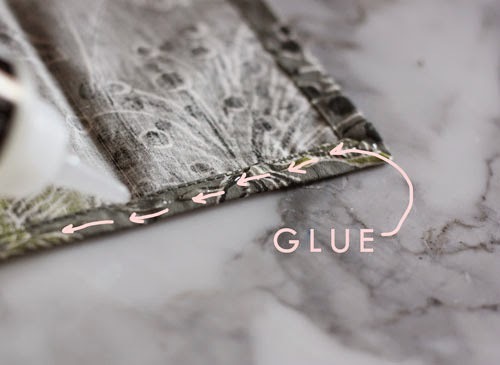 Lay a thin line of glue around three sides of one napkin. 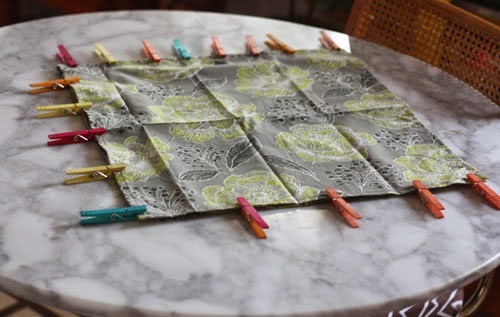 Use clothespins to clamp the two napkins together. Allow to dry (15 minutes to an hour, depending how thick of a line, but be sure to allow for a thorough bond). 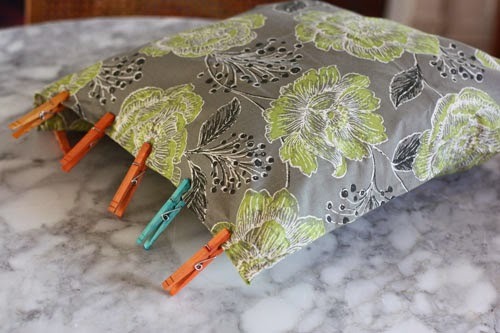 Insert pillow, then repeat the glue/clamping on the fourth and final side. 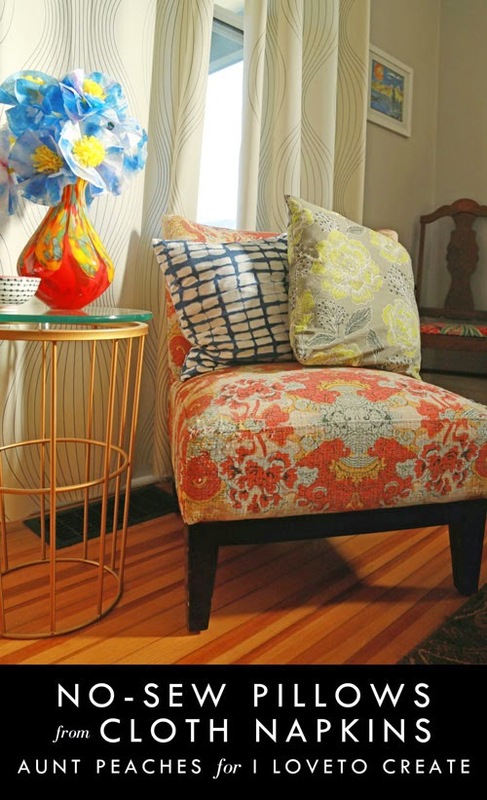 Note: Fabric Fusion is a permanent adhesive. So long as you give it long enough to cure completely, it's safe to throw the whole pillow in the washing machine. Try it! What a unique idea. Something students can accomplish.